Two local brands have joined forces to create the greatest summertime combo since tube tops and daisy dukes. 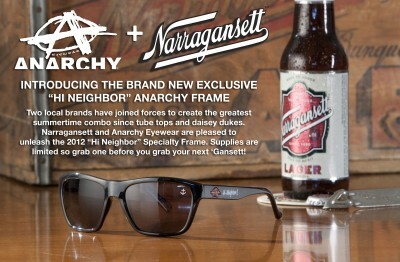 Narragansett and Anarchy Eyewear are pleased to unleash the 2012 “Hi-Neighbor!” Specialty Frame. 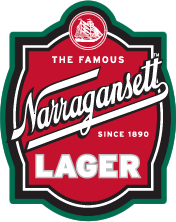 Supplies are limited so grab one before you grab your next ‘Gansett! Here’s a list of the first 10 stores where you can pick up your pair today. Not near any of these stores? 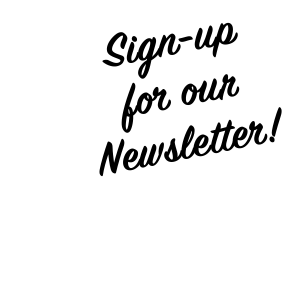 Purchase them online at AnarchyEyewear.com/Narragansett and our Gansett Gear store! The retail price is just $45.